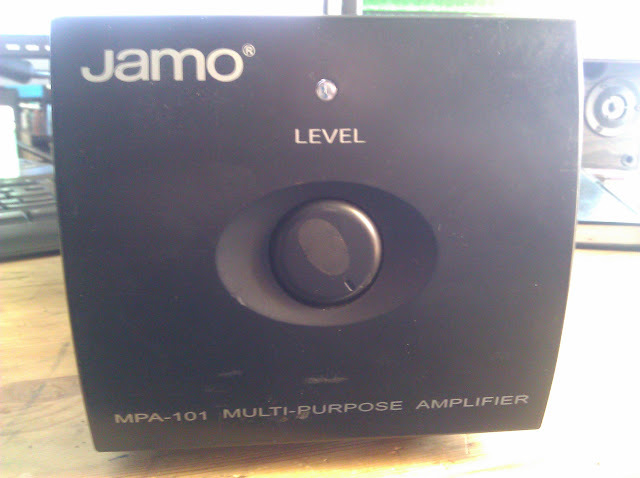 My friend brought me this Jamp MPA-101 amplifier he picked up at a garage sale, complaining in only puts out some rumbling and humming. It looks like it’s suffered a failure in the power supply at some point. I’ll be trying to bring it back to life, as it’s a nice compact desk amplifier. There’s no published service information, so this should be an interesting challenge – the boards are very repairable if I can track down where the faults are. 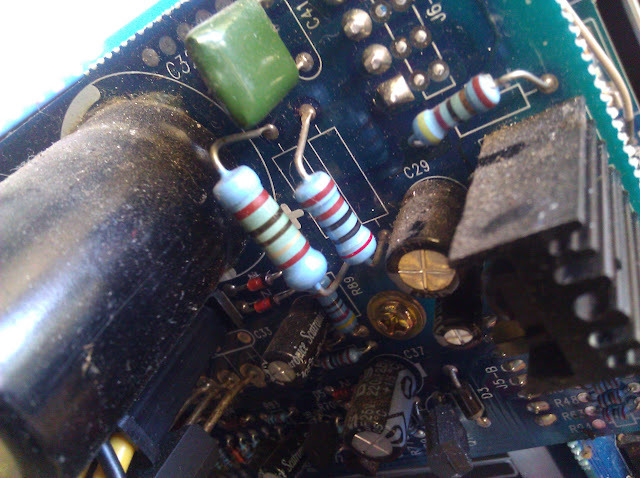 A resistor in the power supply section, the largest blue one near the center of the photo, appears to have been overheated as it’s visibly discolored. This likely means something has faulted in the power supply, most likely a capacitor. I’ll be taking the board apart to test the capacitors, and go from there. 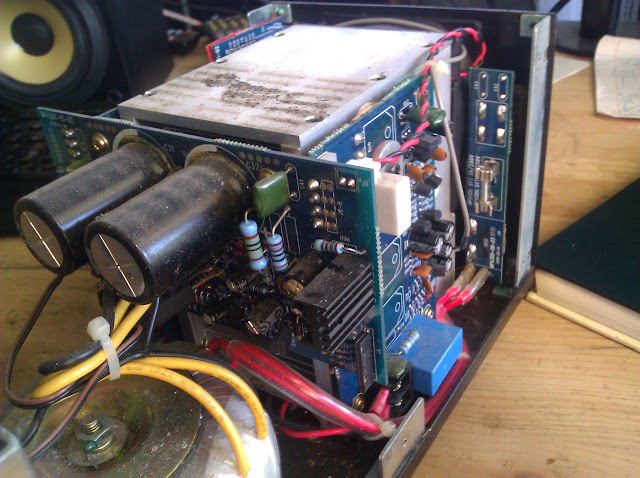 This entry was posted in DIY, Electronics, Projects and tagged amplifier, Broken, capacitor, capacitor replacement, hi-fi, Jamo, MPA-101, repair. Bookmark the permalink.